This entire three volume set can be purchased at Non-Duality Press. This book was written by John Levy, a student of Atmananda, who also became a teacher. 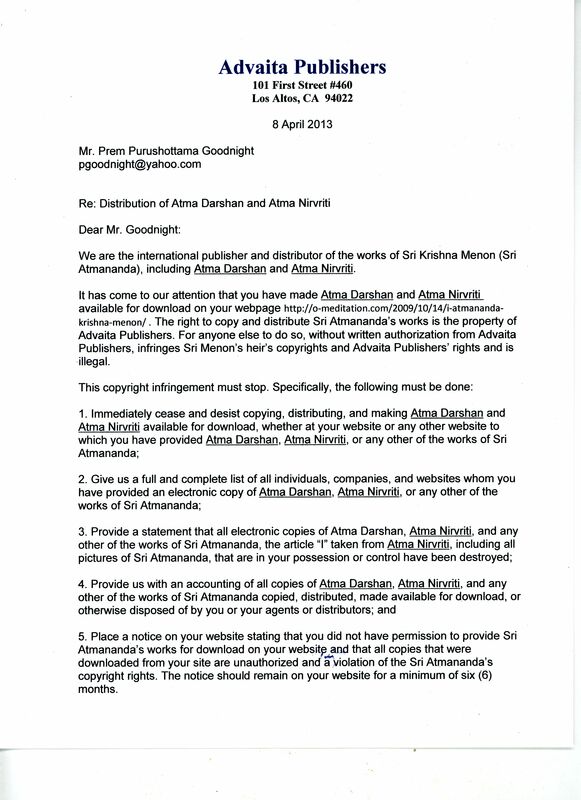 Previously there were two other books by Atamanada available from this page but I received a letter which I post below demanding that I take them down. 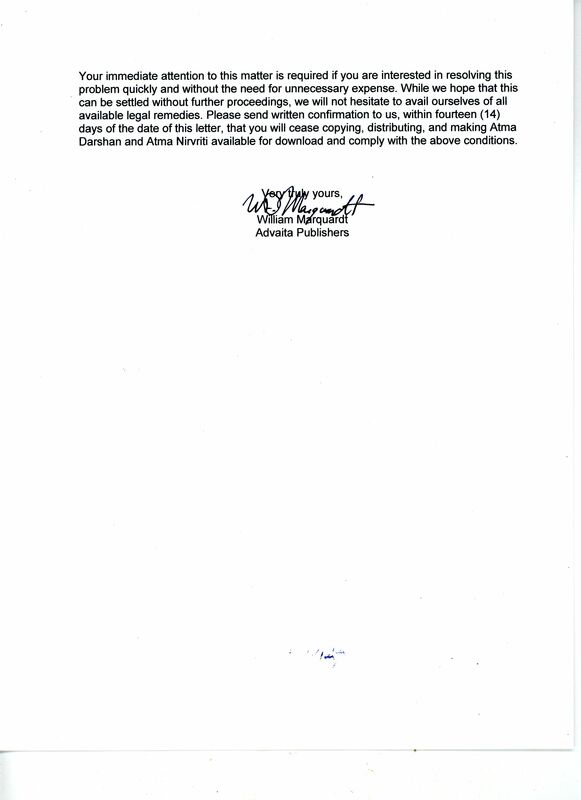 These works have not been published since 1991. Life is a mystery. Great Books to read..Love to Read it..
thanks for this great gift!! Thanks for posting these have been looking for those two for some time now. The three volume set is ordered and on the way. Hi, Thank you for posting this quality servicing sites. Thank you so much, I have been looking for these books for a long time. Thanks for making these books available. Good work! Thank you so much for providing these. I will definitely purchase hard copies when I can find them, but appreciate not having to wait until then to read the texts. Thanks for making this journey to freedom easier.Especially us from Africa where this Gospel of advaita vedanta is absolutely not known.Hoping to get more from you. I am currently traveling so am unable to do so now but when I get back home I will send you an email with some info. I am also interested in what you know about where it might be possible to get Atma-darshan and Atma-nirvriti. Thank you! I am traveling at the moment but will respond as soon as I can with more information.